Recommended for those who wish "Water repellent effect long lasting". With fluorine power, water repelling effect lasts six times more. The head is twice as big as conventional one, and the bottle is designed to fit in your hand. The combination of those allows speedy and smooth work. The volume is up 60%. 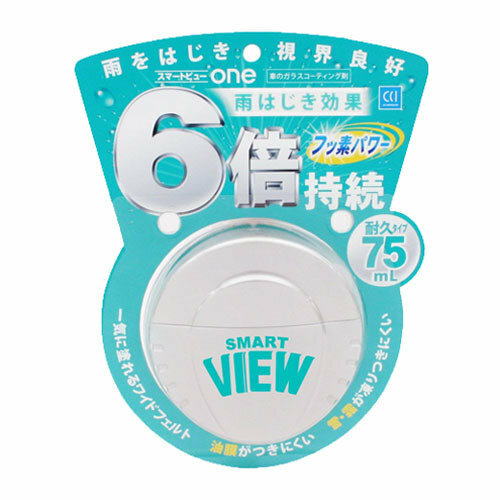 Needless to say, it repels water drops while driving at a speed of 45km/h or more, and allows you to have clear vision. 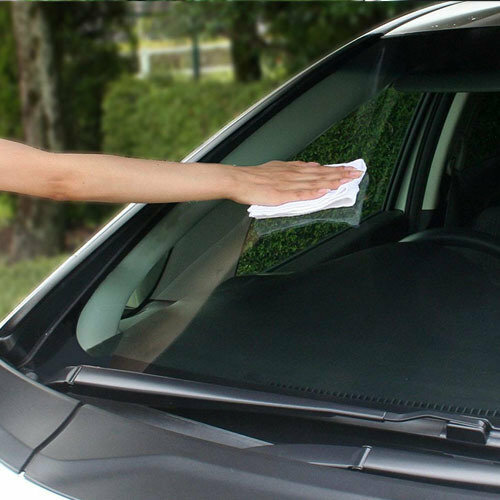 * Remove dust or dirt from the windshield with water in advance. 1. Take the cap off and apply it on a dry windshield. 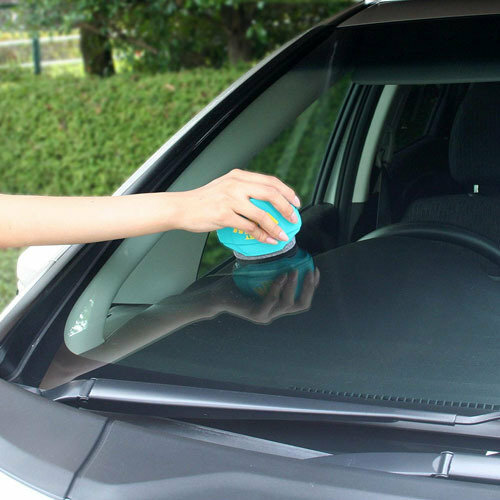 Press the side of the bottle to let the fluid out and rub it firmly onto the windshield without splashing the fluid. * Do not apply it on wet windshield otherwise it may cause damage to the surface. 2. After drying for 5-10 minutes, wipe it off with a slightly damp towel which is wrung out.